Africa PhD Seminar - applications closed. Asia Pacific PhD Seminar -applications closed. LAC PhD Seminar - applications closed. The fourth ISTR PhD Seminar took place at Vrije Universiteit Amsterdam, in Amsterdam, The Netherlands, from the 8th to the 10th of July 2018.
by Franz Koranyi who is writing a PhD on ‘philanthropic engagement in community-based networks in the field of education’ at the Freie Universität Berlin, Germany. your own excitement, helpful feedback of others, interesting encounters and wonder how you will experience the ambiance of the event. Preparing for the fourth ISTR PhD Seminar from 8th to 10th July on the train to Amsterdam, the Netherlands, I had this exact feeling. Group sessions: a key element of the PhD Seminar were the group sessions of about six or seven students and two faculty members. Community: an important element of the PhD Seminar was the interaction outside of group sessions. There were tons of opportunities to enter into conversations with each another. We mingled in breaks (with delicious catering), enjoyed a lovely BBQ together, drank a glass of wine at the reception, or danced at the PhD party (to the music played by René Bekkers and band). This allowed us to meet fascinating people from all over the world in a more informal setting (more than 50 students from over 20 countries). Professional development: the PhD seminar as well as additional workshops during the conference provided the opportunity for us to also think about our future careers. From 8th-10th of July 2018, the fourth ISTR PhD seminar was held at Vrije University in Amsterdam, the Netherlands. Immediately preceding the society’s conference, the seminar was an excellent opportunity for students to meet other third sector PhD researchers and ISTR faculty members, and benefit from each other’s insights. This year, the seminar was attended by 50 students from over 20 different countries. The seminar began Sunday afternoon with an opening talk from Professor Taco Brandsen of Radboud University about the history of the third sector in the Netherlands. The majority of the seminar was spent in smaller working groups, formed on the basis of our research topics. Within these, every student had the opportunity to briefly present their PhD topic and current progress, before highlighting any issues or questions they wished to put to the group. The following discussion sought to help the student, providing advice and recommendations ranging from alternative methods to useful reading material. This past summer I had the opportunity to take part in ISTR’s PhD Seminar in Stockholm. I had attended some regional ISTR events but this year’s seminar and conference were going to be my first international events, so my expectations for both events were high. It all started at the welcome meeting where I realized the event, in its third edition, had a much larger scale and diversity than I had imagined. 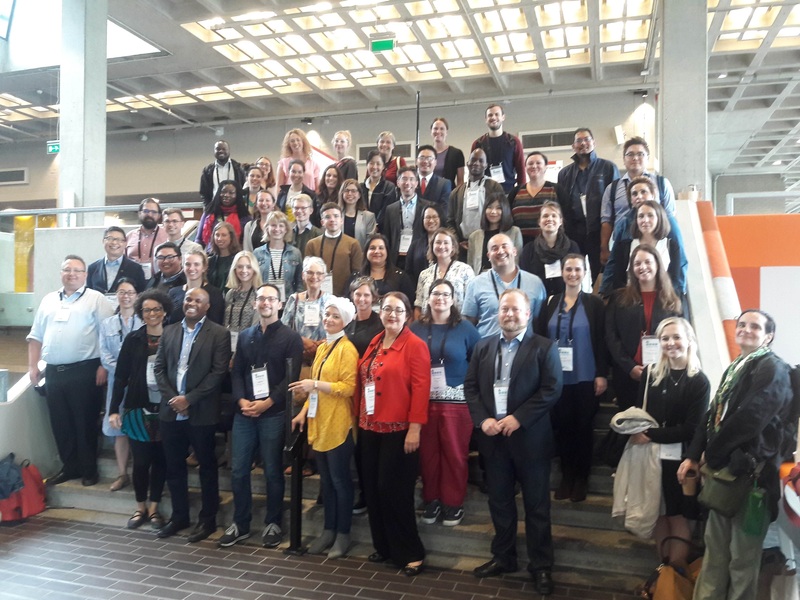 Not only were there participants from every region of the world very diverse backgrounds, and stages of their programs, but also an interesting group of very qualified scholars that would lead the different sessions and activities. It seems the seminar is well on its way to becoming an ISTR institution. In the run-up to the 11th International Conference, the second ISTR’s PhD seminar brought together 46 students from 22 countries at the political science department in Muenster from Sunday July 20th to 22nd . Established two years ago in Siena, the seminar aims to provide doctoral students from the broad variety of third sector research with the opportunity to receive extensive intellectual and methodological advice on their doctoral research, to introduce them to main theories and developments in the field, to reflect upon publication and career strategies, and to provide a unique opportunity to network with junior and senior scholars within the international ISTR research community. ISTR held its Inaugural PhD Seminar immediately prior to the 2012 conference in Siena. The seminar is part of the Society’s mission to build the field of third sector research and focused on providing extensive intellectual and methodological advice on the participants’ doctoral research, introducing students to the main theories and recent developments in the field, guiding reflection upon publication and career strategies, and providing a unique opportunity to network with junior and senior scholars within the international research community.